OK: you live in a country. (Probably Britain.) You know its name and lots of stuff about it. But would you know where to find it on a map? Or what it looks like? Or what key features it has? 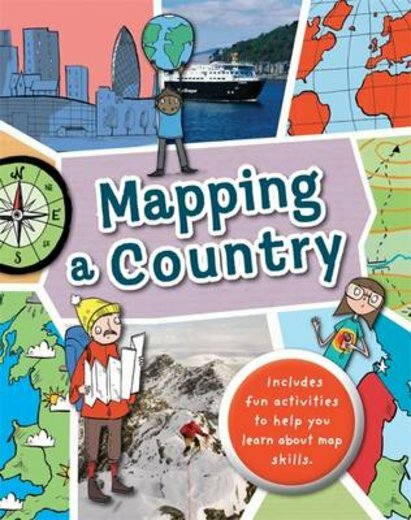 This book lets you learn more about the UK while finding out what maps can tell you about it. Even better, it’s full of hands-on activities that let you practise your skills. You’ll find out what a birds-eye map is, look at amazing aerial photos, and see how landmarks can be shown as symbols. You’ll also learn how to explore your local countryside with a compass and various types of maps.